How Can You Use 500 Top Quality Illustrations Pack? 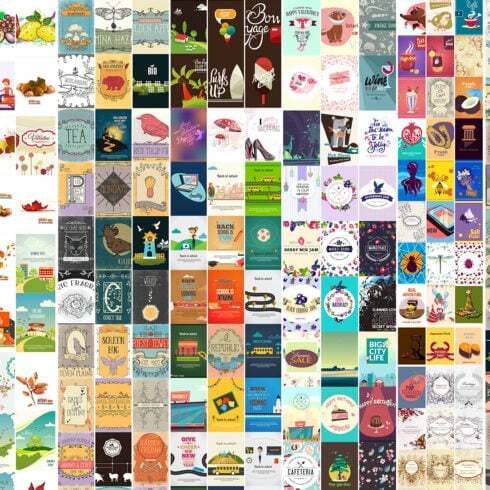 Are you excited to get 500 premium vector illustrations to use in versatile projects? The items are split into categories: floral patterns, festive illustrations, wedding themed images, birthday vector art, etc. Choosing the right pattern or combining different patterns won’t be an issue. Vintage, watercolor, or flat design – you’ll definitely find something for yourself in this premium pack. Using ready-made vector art is a real timesaver for designers who simultaneously work on several projects. Likewise, a bundle of professional-looking vector arts comes in handy for any amateur who wants to skill up in graphic design. Another great benefit is that these top-quality illustrations are available at a discount! So, you don’t have to pay the extra money and save up for other goodies in our store. All of the items arrive with an extended license meaning you can make use of them in commercial projects meant for monetization. 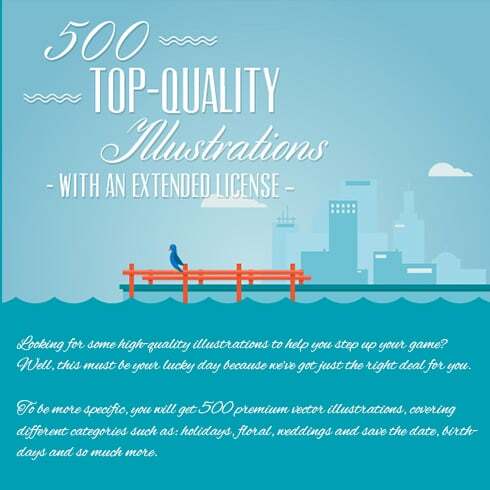 Purchase 500 Top Quality Illustrations and start creating eye-catching designs straight away! Looking for some high-quality illustrations? Well, this must be your lucky day because we’ve got just the right deal for you. To be more specific, you will get 500 premium vector illustrations, covering different categories such as: holidays, floral, weddings and save the date, birthdays and so much more. And because we like to spice things up, you’ll see that all these resources come in a variety of styles: from flat to vintage to watercolor and beyond – everything you could possibly need is in here! 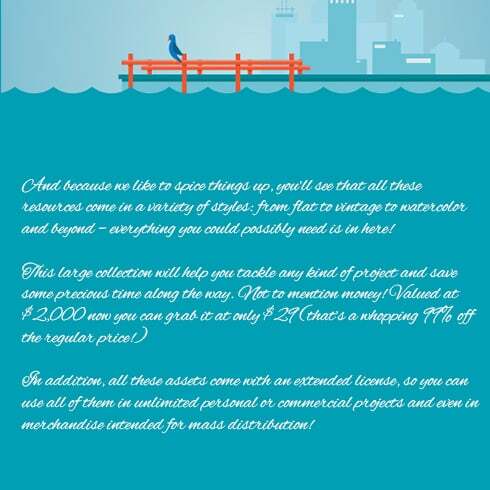 In addition, all these assets come with an extended license, so you can use all of them in unlimited personal or commercial projects and even in merchandise intended for mass distribution!